Blooms, blooms, blooms! 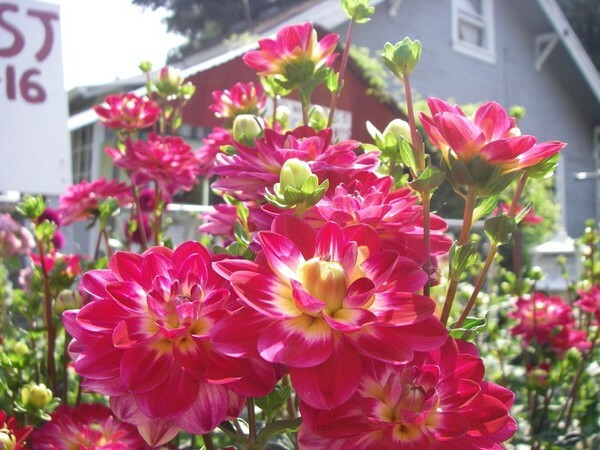 This prolific dahlia is a low-growing, bushy plant full of icy white and raspberry-edged petals. Good cut flower.